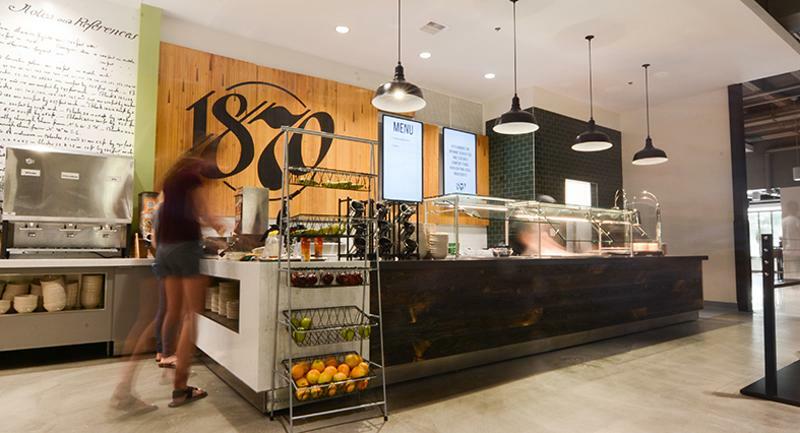 At the start of the fall semester, Colorado State University unveiled The Foundry, a 600-plus- seat eatery that sits between two residence halls. 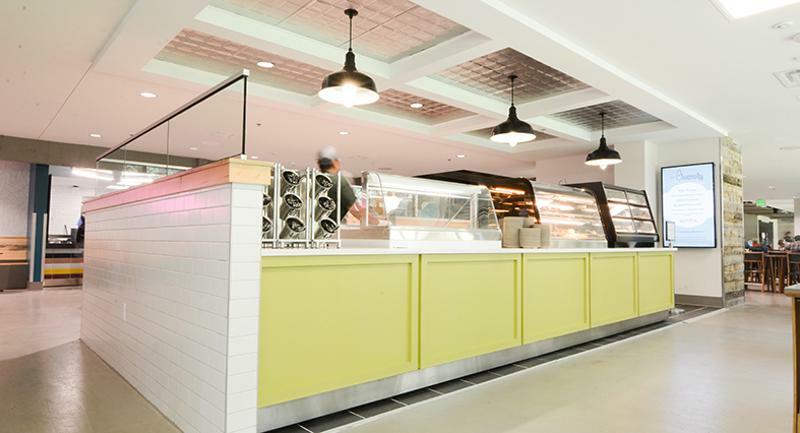 The concept, which is home to eight distinct micro-restaurants and serves around 3,000 meals daily, resembles a food hall while maintaining an all-you-care-to-eat dining hall atmosphere, says Jason Scott, project and programs manager for Residential Dining Services at the Fort Collins, Colo., school. Read on for a closer look at the new space, which came together in about five months of construction. 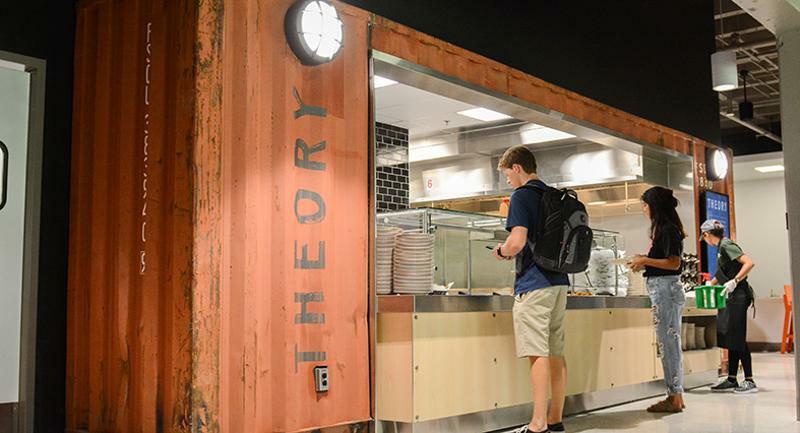 Theory is the school’s spin on a food truck, and it carries out the transportation theme by being housed in a shipping container. The design has been “a great hit” with students, Scott says. The micro-restaurant dishes up a menu that rotates weekly and includes items such as burgers and build-your-own mac and cheese. 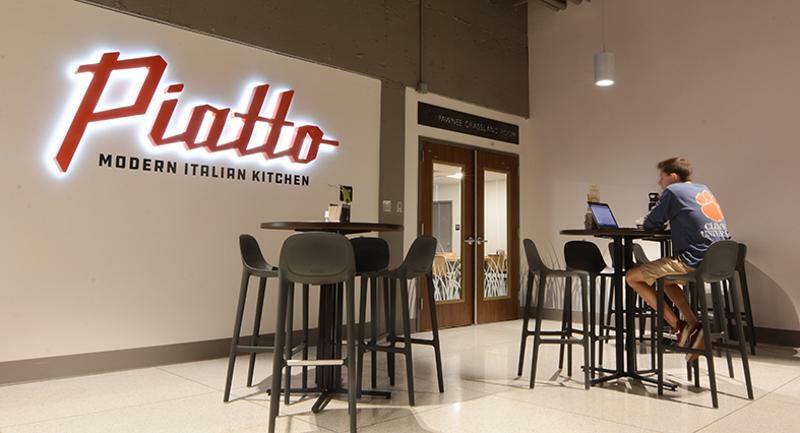 This Italian-focused concept offers pizza, breadsticks and pasta dishes in a build-your-own format. Salads and grain bowls are the star at Root, which is also home to a cabinet growing microgreens. 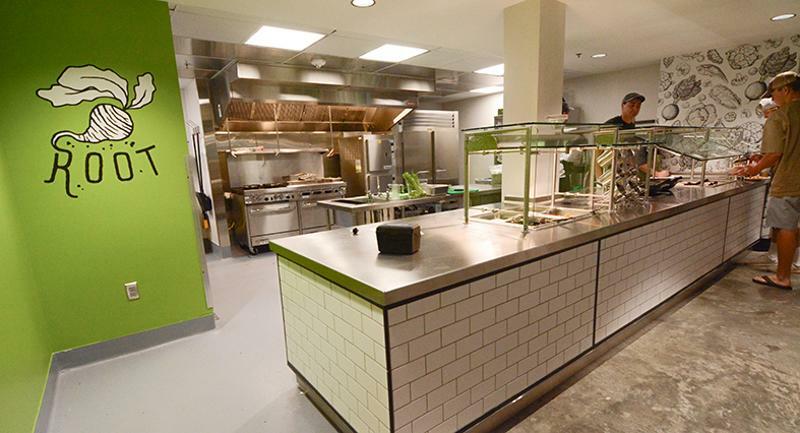 Lettuce, spinach and kale served at the concept are grown on campus, Scott says. 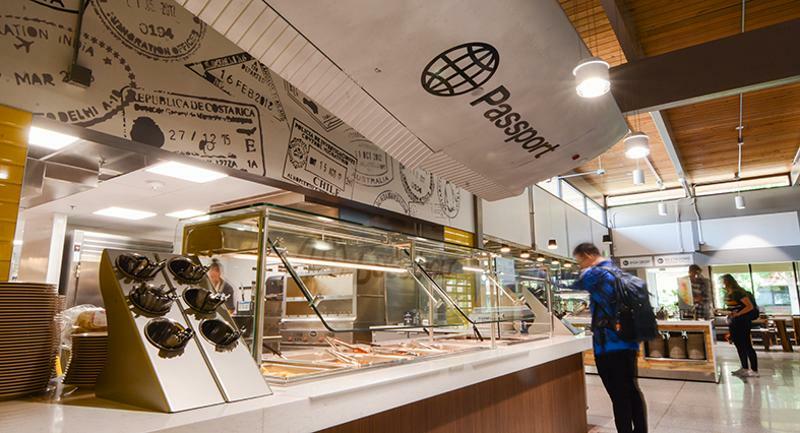 Passport aims to take students to different destinations through new global cuisines. Driving the travel theme home, the concept’s name is displayed on an actual airplane wing hung above the serving area. Meal customization is a key component at Passport, which offers one of 16 international cuisine types, such as Jamaican, weekly. CSU partners with a local ice cream shop to bring hard-pack ice cream to students at The Creamery, where flavors rotate often, Scott says. 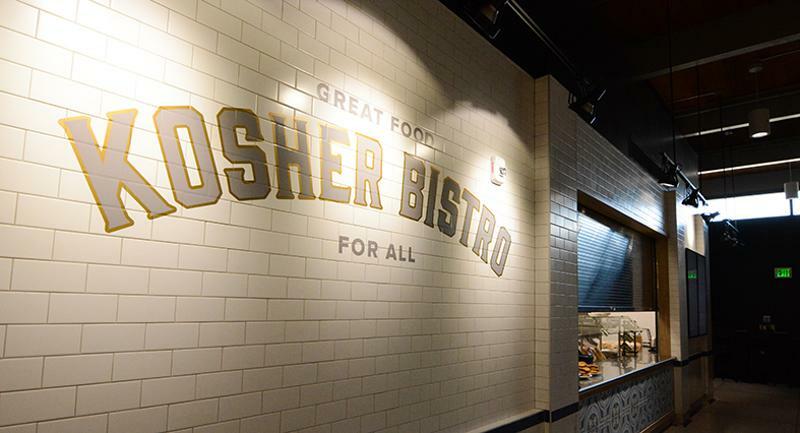 This kosher concept, open Monday through Thursday, is currently the only certified kosher kitchen in Northern Colorado, Scott says. An homage to the school’s founding year, this comfort food-focused spot has a menu that rotates monthly. 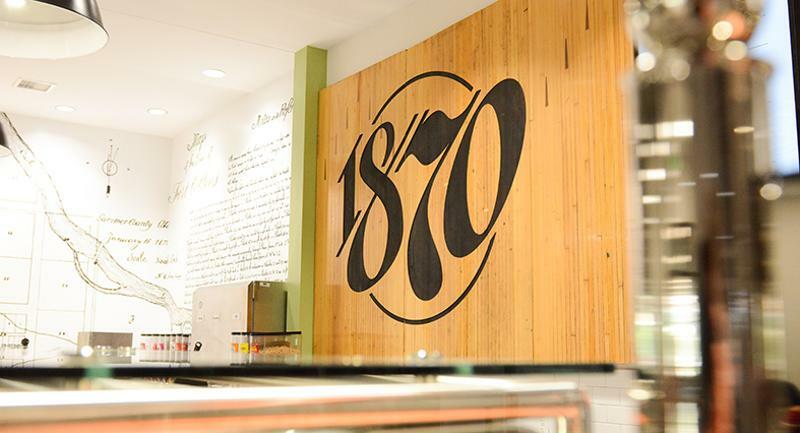 In a nod to sustainability, the wall behind 1870 was crafted out of used wood from bowling alley lanes. An effort was made to use reclaimed materials throughout The Foundry, Scott says. 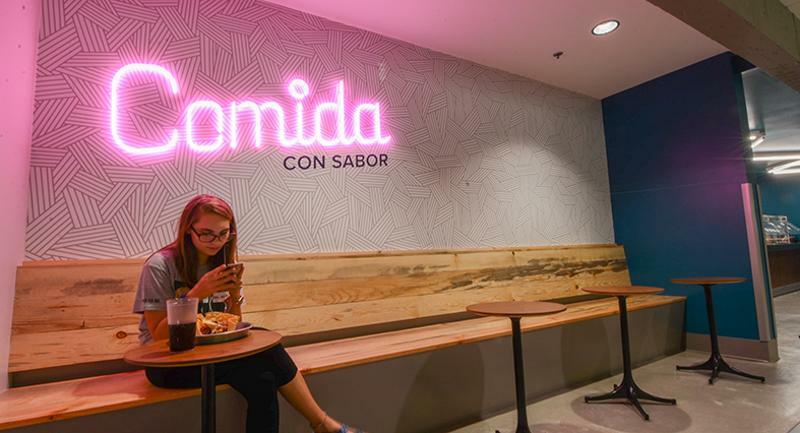 This Mexican micro-restaurant serves customizable quesadillas, tacos, burritos and nachos.